The infamous Grenada invasion of 1983 was, in addition to everything else that went wrong, hindered by a wildly out-of-date British map. The map predated the construction of the Richmond Hill Insane Asylum, and in the resulting air strikes the hospital was bombed and a number of patients and staff members killed. 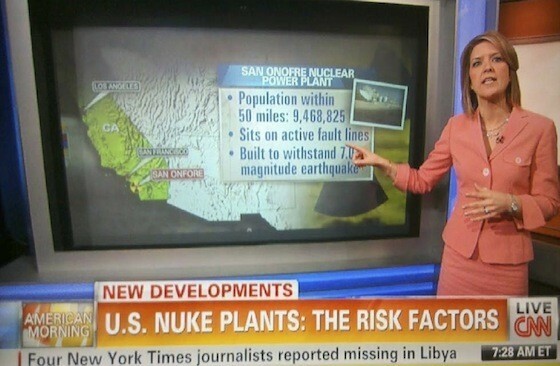 Welcome to the world of cartographic errors, misjudgments and deceptions. Sometimes it’s the map that’s wrong — sometimes the blame lies with the map’s reader. For example, back in 1988, the Philippine media announced that neighboring Malaysia had taken ownership of a group of six small islands in the south of the country. The Turtle Islands, small and largely inaccessible, were the center of attention for three tense days while the press went nuts over the audacious show of power. Until… a naval officer admitted that he had misread a navigational chart’s recommended shipping route as Malaysia’s recently declared exclusive economic zone. 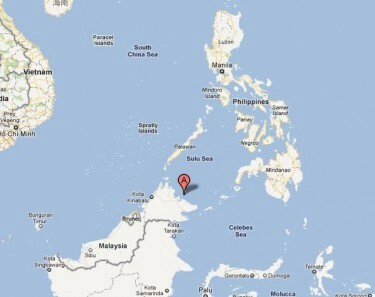 Malaysia hadn’t claimed part of the Philippines for itself after all. Whoops! War averted. Most errors, of course, aren’t matters of life, death and annexation. Some even have a purpose. Mapmaking companies sometimes add “paper towns” and “trap streets” to their maps as a method of copyright protection. If the fictional additions show up on a competitor’s product, it’s clear they’ve ripped you off. The nature of the addition depends on the cartographer. Most are small: a fake walkway here, a deceptive dead-end there. But not always. The chairman of the Michigan Highway Commission, a University of Michigan grad, added towns “Beatosu” and “Goblu” to the slice of northern Ohio visible on the 1979 version of the Michigan state highway map. The names are a jab at UM rival, Ohio State: “Beat OSU,” a Michican chant, and “Go Blue,” the color of Michigan’s uniforms. The towns were removed from later maps, but not before Goblu could be listed as the birthplace of G.I. Joe villain “Road Pig.” Real-life landmark Agloe, New York, got its start as a paper town, when the founder of the General Drafting Company added an anagram of his and his assistant’s initials to a highway intersection in Delaware County. The map was blatantly copied by Esso and Rand McNally, putting the fictional town of Agloe into such circulation that the Agloe General Store eventually came to sit at that exact junction. Want to see a blunder in action? Try the NATO kids page. Putting aside the fact that NATO has a kids page, the included map game, intended to teach children the member nations, omits Japan, both Koreas and Cambodia. Not just the borders, mind you. The countries are missing entirely — I’ve indicated where with “?”s. Wonder what Laos is going to do with that new coastline. Another type of map that’s often rife with inaccuracies? Next time you’re flying somewhere, check the route map. It’s usually in the back of the magazine, and it’s usually wrong in one way or another. Sometimes it’s just adding the upper peninsula to Wisconsin, and sometimes — hello, Aeroflot! — it’s moving New York City and Washington, D.C., to the Carolinas. Or erasing Israel, as Egyptair did. Or, I don’t know, everything going on here — do you hear that, Swiss Airlines? And here’s a collection of face-palmers from the news networks. Follow the links and marvel! • Queensland: not a city, certainly not a city in Tasmania. 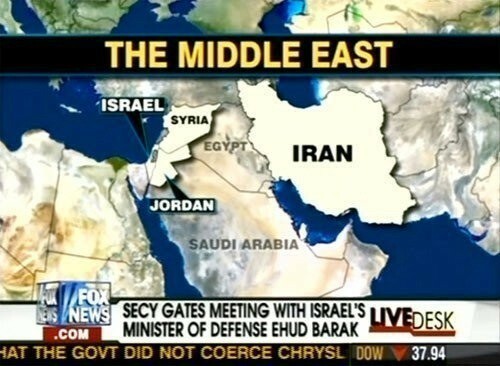 • What’s that between Syria and Iran? • Does this make us North Africa? • Australia problems, not limited to CNN. • Shibuya Eggman is a dance club. A really good one, apparently.